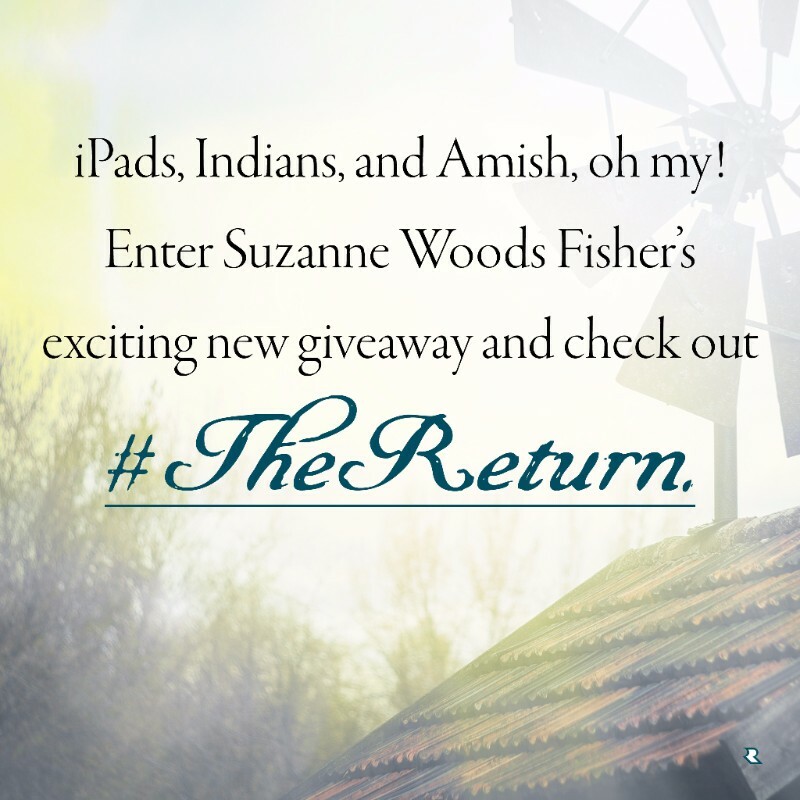 Before I start talking about Suzanne Woods Fisher's book The Return, book three in her Amish Beginnings Series, I have to say this: of all the books I enjoy reading I absolutely love books based on history. It doesn't matter if the history is here in the States, or the Holy Land, Britain (where my parent's families descend from), or elsewhere. I simply love history. With that said let me tell you about this book, The Return, by Suzanne Woods Fisher. Now, when I say this I say it with the utmost respect I have ever seen in a writer. Not only is Suzanne a wonderful and thoughtful writer, attentive to detail, descriptive when it comes to setting a scene, and the way she writes how the people interact with one another, I felt transported back to the time when our ancestors were first settling America. I could feel the thunderous hoof beats of the wild stallion she writes of. I could feel the fear the children have when the Indian massacre on an innocent family takes place. I could even feel the jealousy of a girl who was slowly becoming a woman throughout the pages of this book. I am actually so dumbfounded by how Suzanne Fisher has written this book that actual words escape me at this point. I have never seen a book so lovingly prepared for a reader such as myself and eventually scores more like myself. I may not be the biggest fan of romance novels, but this hardly fits the bill of a romance novel. I would say this book is more historical fiction than anything else. She has, I feel, put herself fully into this novel. Like she says in the back of her book, I can say as well, "Not now! I'm reading about an Indian attack!" I admit that when I read something new and it excites me, gets my pulse up and running, and just gets me where I think the wheels are going to fly off the wagon as it speeds towards a cliff, it's worth a read to me. I actually could not put this book down at all. I read it in one night, actually one day, because I just didn't want to put it down! That's how wonderfully well Suzanne Fisher crafted this book. I have never known much of anything about the Amish, but this book shows me how sensitive, how thoughtful, and willing to sacrifice themselves when it comes to danger they actually are. What little we know of them makes it hard on us for them to trust outsiders. If we only knew how much they are just like the rest of the Christian community as we are can we ever truly relate to them. Suzanne Woods Fisher is an award-winning, bestselling author of more and two dozen novels, including Anna's Crossing and The Newcomer in the Amish Beginning Series. Neither of these books have I read as of yet, but I plan on it as I simply loved this third book. She has also written nonfiction books about the Amish as well. You can learn more about her at Suzanne Woods Fisher and follow her on Twitter @suzannewfisher. Note: I received this book compliments of Revell. The thoughts in this review are mine alone aside from the author's bio on the back side of The Return.